Strandboard is a high-density substrate, which blends practical and creative elements together for a variety of uses in residential and commercial applications. When you need to cover large areas quickly and provide a more rigid floor surface, choose “Tongue & Groove” to give an excellent base for tiles, carpet or vinyl. Or use “Square Edge” when a clear finish is required. With Strandboard, you’ll experience the benefits of timber, providing warmth underfoot and a forgiving surface. Often, it is used effectively on decorative wall panels, ceilings and stairway construction. Strandboard’s high density means it is second to none for impact resistance. However, it’s low weight to density ratio makes it the lightest and strongest sheet flooring product on the market. It’s made from timber flakes rather than chips, so the product has strength and durability. So it’s the perfect choice for commercial applications. Create a robust finish with a rich ambiance for heavy traffic areas such as bars, retail showrooms and gyms. Strandboard is the key to success in saving time, money and your reputation. Available in a range of sheet sizes and thicknesses, there is a size to suit, making your projects cost effective and quick to install. The sheets can be nailed or screwed directly to joists or an existing substrate. The manufacturing process is highly sophisticated and carried out under stringent quality controlled conditions. This enables our customers to have peace of mind in guaranteed performance delivery. For an enviable, stunning result on floors, walls and ceilings or stairways, simply complete with a stain or colour wash of your choice. The colour will dramatically enhance the decorative nature of the board, providing an affordable way to create a variety of looks, from urban cool to sophisticated chic. Leave it unsanded for extra pattern definition. Avoid damage to face and edges. Always stack horizontally, supported by gluts at 1200mm maximum centres, laid on a flat, level and dry surface. For short term storage on site, protect from direct weather exposure with tarpaulins or similar. “Square Edge” and “Tongue & Groove” must not be used as a substrate for decking or flooring membranes or in spa pools and sauna rooms. In addition, “Tongue & Groove” must not be used as an uncovered floor solution. The recommended maximum period of exposure to weather is 8 weeks. This includes anytime the product is unprotected e.g. : during transport, site storage or construction period. For instructions on installation please refer to the Strandboard Brochure. Squareness: The difference between the measured diagonals is no greater than 1.5mm. “Square Edge” and “Tongue & Groove” are suitable for installation in residential, commercial and industrial buildings as a single or double sheet flooring material. “Square Edge” and “Tongue & Groove” can be used as post laid flooring over timber or steel joists, as an overlay to concrete or wooden floors, for staircase construction or general industrial shelving or packaging. “Square Edge” can be used as ceiling, wall panelling or as a decorative overlay. 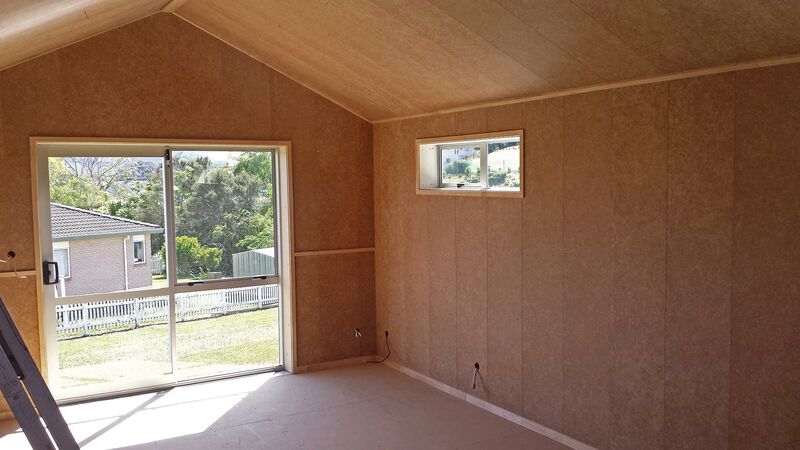 Strandboard meets the requirements of NZS 3604 (2000 revision) for sheet flooring when installed in accordance with the installation instructions. When specified for sports floors, contact JNL for specific details.